FITS: RENAULT MASTER TRAFIC VAUXHALL MOVANO VIVARO 2.5 dci diesel and more check compativility above! SPECS: INPUT / OUTPUT HOLE DIAMETER ; 8 mm Package included: 1 x hand pump 1 x roll of white hose 2 x snap rings Marca - Sin marca/Genérico - MPN No aplicable EAN No aplicable. 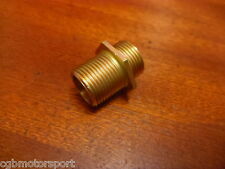 M20 x 1.5mm thread (both threads). Supplier of Renault 5 GT Turbo parts and performance car parts for over 10 years. Allows fitting of sandwich plate behind the engines original oil filter. We will always go out of our way to source the product you are looking for. Renault 5 GT Turbo Sandwich Plate / Oil Cooler Seal / Gasket. This seal is oil / fuel resistant. Sandwich plate to engine block gasket. RENAULT MEGANE MK3 SPORT 2015 Oil Filter Housing Oil Cooler Radiator. RENAULT TRAFIC X82 MK3 2018 OIL FILTER HOUSING 152081926R. RENAULT CLIO GENUINE MOCAL 13 ROW OIL COOLER KIT. Clio MK1/2 1990 - 2005. 13 row x 235mm oil cooler. Exact cooler size required depends upon: The type of use, ambient temperature, spec of the engine (internal friction, rev range, power etc), airflow through the cooler and over the sump. 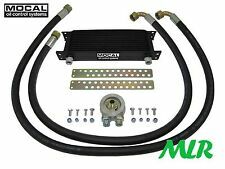 RENAULT CLIO MK2/3GENUINE MOCAL 1/2BSP 13 ROW OIL COOLER KIT. The hose & fittings supplied is designed for self assembly. Once assembled the hoses have a smart/professional appearance. M20 centre bolt. RENAULT ESPACE III 2.2DCi 2000-. RENAULT TRAFFIC II 2.5DCi 2003-. RENAULT MASTER II 2.2DCi & 2.5DCi 2000-. Many cars have more than one option, even though the compatibilty info says that it fits your car. Supplier of Renault 5 GT Turbo parts and performance car parts for over 10 years. Installation kit includes braided stainless steel rubber hoses and sandwich plate with mounting bolts to engine block (bolts are not pictured but are included). Supplier of Renault 5 GT Turbo parts and performance car parts for over 10 years. Installation kit includes braided stainless steel rubber hoses and sandwich plate with mounting bolts to engine block. Supplier of Renault 5 GT Turbo parts and performance car parts for over 10 years. The rubber seal fits into the original oil cooler sandwich plate and seals the sandwich plate to the engine block. We will always go out of our way to source the product you are looking for. All the information we have regarding the fitting is stated above. Compatability Chart is for the reference only. We are not responsible for any labour costs that may incur if there any problems with the part once fitted. Manufacturer Part Number Gt Turbo Spares. Marke: Hajus. 1 x Ölkühler für Motoröl. Dacia Logan (LS_) 1.5 dCi 1461 48 65 2005/09-2012/12. Dacia Logan (LS_) 1.6 1598 64 87 2004/09-2008/12 8212-002, 8212-AAB. Dacia Logan (LS_) 1.6 Bi-Fuel 1598 62 84 2010/05-2012/12 8212-ACU. RENAULT TRAFIC II Bus (JL) 2.5 dCi 135 (JL0D) Bus Diesel 05/2003 on FWD 16 135 99. RENAULT TRAFIC II Platform/Chassis (EL) 2.5 dCi 135 (EL0D) Platform/Chassis Diesel 03/2001 on FWD 16 135 99. RENAULT TRAFIC II Van (FL) 2.5 dCi 135 (FL0D) Box Diesel 05/2003 on FWD 16 135 99. Interne Lager-Nr. : 160301-01. Erforderlich hierfür ist ein Pass-Thru-Diagnosegerät. Eventuelle Angaben in der Fahrzeugliste dienen lediglich zur Orientierung und sind nicht bindend. Gebrauchsspuren und Verschmutzungen auf (siehe Produktfoto). Mocal installation kit with stainless steel covered rubber hoses. Supplier of Renault 5 GT Turbo parts and performance car parts for over 10 years. Sandwich plate with thermostat. 10 row 235mm oil cooler core. 10 row 235mm oil cooler core. Supplier of Renault 5 GT Turbo parts and performance car parts for over 10 years. The sandwich plate has a built in thermostat so that the oil cooler only operates when required. Ölkühler 8200806731 Renault Laguna III DT0 2.0 Tce. Fahrzeugmodell: Renault Laguna III DT0/1 2007-2015. Getriebe: Schaltgetriebe 6 Gang. Motor: 2.0l TCe 205 150 kW. Renault Laguna III DT0/1 2007-2015. Renault Twingo CN0_ [2007-2014]. Renault Twingo Mk2 [2007-2014]. Renault Kangoo KC0/1_ [1997-2016]. Renault Kangoo BE BOP KW0/1_ [2009-2018]. Renault Kangoo/Grand Kangoo KW0/1_ [2008-2018]. Renault Logan I KS_ [2007-2012]. RENAULT CAPTUR 1.5DCi 2013-. RENAULT FLUENCE 1.5DCi 2010-. RENAULT KANGOO 1.5DCi 2008-. RENAULT CLIO II III IV 1.5DCi 2001-. RENAULT GRAND SCENIC II & III 1.5DCi 2004-. RENAULT DUSTER 1.5DCi 2011-. RENAULT KADJAR 1.5DCi 2015-. Neuer Ölkühler für alle Renault / Opel 1.9 dCi mit F9Q. Motor. OPEL MOVANO Kasten (F9) 1.9 DTI 09.00 - 10.01 59 80 1870 3041-510. OPEL MOVANO Kasten (F9) 1.9 DTI 10.01 60 82 1870 3041-516. OPEL MOVANO Kasten (F9) 1.9 DTI 10.01 60 82 1870 3041-AAD. Renault Laguna 07-15 oil filter housing & oil cooler. Removed from 2009 Renault Laguna Coupe 2 Doors 2.0 Diesel 150 HP Automatic, BlackNV676. Code is not supplied. Vehicle compatibility is a rough guide and it is your responsibility to check if this part will fit your vehicle. Part No. 6025310186. Genuine Renault part. Renault Espace III G8T 2.2D from 01/10/1997 onwards various chassis numbers. Oil cooler fit various chassis numbers in the following vehicle range. Any offshore Islands including Channel Islands, Isle Of Wight, Isle Of Man, Isle Of Scilly, Anglesey, Northern Ireland. 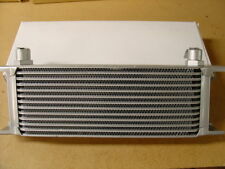 RENAULT KANGOO 1.5D Oil Cooler 2005 on Radiator NRF. Technical Drawing : NRF EASYFIT.pdf. RENAULT KANGOO / GRAND KANGOO (KW0/1_) 1.5 dCi MPV Diesel 02/2008 on FWD 8 106 78. RENAULT KANGOO / GRAND KANGOO (KW0/1_) 1.5 dCi MPV Diesel 11/2012 on FWD 8 75 55. Supplier of Renault 5 GT Turbo parts and performance car parts for over 10 years. Original oil cooler hoses that connect from the oil filter sandwich plate and screw into the standard design oil/water cooling radiator. RENAULT ESPACE III (JE0_) 2.2 D Großraumlimousine 84 KW 2188 ccm 11.1997 - 01.2000 3128-342 Baumuster:Grand Espace. RENAULT ESPACE III (JE0_) 2.2 12V TD (JE0E, JE0H, JE0P) Großraumlimousine 83 KW 2188 ccm 11.1996 - 10.2000 3128-335 Baujahr ab:03/1997. RENAULT KADJAR 1.6DCi 2015-. RENAULT KOLEOS II 1.6DCi 2016-. RENAULT ESPACE V 1.6DCi 2015-. RENAULT GRAND SCENIC 1.6DCi 2016-. RENAULT SCENIC 1.6DCi 2016-. RENAULT FLUENCE 1.6DCi 2014-. RENAULT TALISMAN 1.6DCi 2016-. 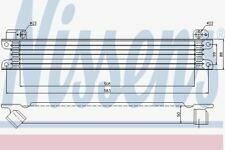 Item Specifics:2002-2006 - 1.5 DISESEL - MANUAL - OIL COOLER - 8200068115A. Part:Oil Cooler. This Oil Cooler was removed from a2003 car and has been fully inspected. Tipo de transmisión Transmisión manual. RENAULT KANGOO 1.5D Oil Cooler 2010 on K9K Radiator ADL. Engine Code: K9K. RENAULT KANGOO / GRAND KANGOO (KW0/1_) 1.5 dCi MPV Diesel 02/2008 on FWD 8 106 78. RENAULT KANGOO / GRAND KANGOO (KW0/1_) 1.5 dCi MPV Diesel 11/2012 on FWD 8 90 66. (Kompetenter Service von Tornau Motoren. AUßER bei Zylinderköpfen und Motoren). RENAULT CLIO Grandtour (KR0/1_) 1.2 16V (KR0P) 02.08 74 101 1149 3333-AQM. RENAULT CLIO Grandtour (KR0/1_) 1.2 16V 03.10 76 103 1149 3333-AYT. Supplier of Renault 5 GT Turbo parts and performance car parts for over 10 years. For use with the original oil cooler lines. We will always go out of our way to source the product you are looking for. Supplier of Renault 5 GT Turbo parts and performance car parts for over 10 years. The bolt attaches the sandwich plate to the block and the oil filter screws onto it. For use with the original oil sandwich plate. RENAULT CLIO II Box (SB0/1/2_) 1.9 D (SB0J) Box Diesel 02/2000 05/2001 FWD 8 65 48. RENAULT CLIO Mk II (BB_, CB_) 1.9 D (B/CB0J) Hatchback Diesel 02/2000 05/2001 FWD 8 65 48. RENAULT ESPACE Mk III (JE0_) 2.2 12V TD (JE0E, JE0H, JE0P) MPV Diesel 11/1996 10/2000 FWD 12 113 83. Neuer Ölkühler für alle Renault 1.5 dCi mit K9K. Motor. RENAULT KANGOO (KC0/1_) 1.5 dCi 07.03 42 57 1461 3004-192. RENAULT KANGOO (KC0/1_) 1.5 dCi 07.03 42 57 1461 3333-ACY. RENAULT KANGOO (KC0/1_) 1.5 dCi 07.03 42 57 1461 3333-ADB. MG, Austin Mini, Renault, Peugeot, etc. 13 Row Oil Cooler. 235mm Matrix Width. NEW OIL COOLER. Part number: ARA221. »Silhouette. »Pathfinder. »Outlander. » Mitsubishi. »Mountaineer. »SLK-klasa. »CLS-klasa. »CLK-klasa. 7-REIHENALUMINIUM ÖLKÜHLER. Getriebe Differentialsperren von Peloquin und Quaife. Turbolader von Garrett, Borg Warner,Precision,Turbonetics oder KKK. Doch damit ist noch lange nicht Schluss, wir können Ihnen auch Zylinderkopfbearbeitungen. Radiador de aceite de Nissan Renault DACIA - 8200267937 -! nuevo! OEM NO: 8200267937. RENAULT / DACIA / NISSAN. OIL COOLER. The warranty will not cover parts that have been modified or altered in anyway. Kupplungen von Sachs Performance oder Clutchmaster. 16-REIHENALUMINIUM ÖLKÜHLER. Getriebe Differentialsperren von Peloquin und Quaife. Turbolader von Garrett, Borg Warner,Precision,Turbonetics oder KKK. Schlauch Wasser Kühler. Neuteil, wie abgebildet. 03.06 - 09.12. NISSAN NOTE (E11) 1.5 dCi. 06.05 - 10.07. NISSAN MICRA III (K12) 1.5 dCi. 09.03 - 06.10. 06.05 - 06.10. 01.03 - 06.10. 08.03 - 10.09.